Which are the factors influencing more in the number of fires? The type of trees growing in each area is a determining factor as there are trees that burn more easily than others. But the use of that land, the care and prevention or the lack of it, are even more important factors. When the fire season arrives, we always talk about the intentionality of them, and even about the different claims of the arsonists: urban, future clearing of land for agriculture and cattle raising, etc. But we do not often hear nor citizens nor the institutions claiming against abandonment, against the lack of planning and prevention, and against the absence of a draft forest management and planning taking into account holding and livestock and forestry farm. 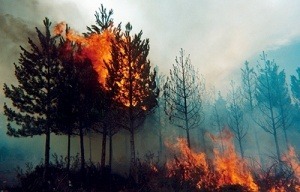 Let’s see which is the movement of politicians to avoid or minimize the damage caused by forest fires every summer.